On April 4-9, 2017, the annual “Milan International Furniture Fair” and “Milan Design Week” were held in full swing citywide. As in previous years, art and design enthusiasts and industry elites from all over the world gathered in Milan. “HOAA International” also took this opportunity and participated in the exhibition. 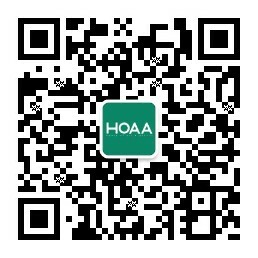 The “HOAA International” concept and image created by Yugong formally went public. To present its image, “HOAA International” has ordered an exhibition booth of more than 20 square meters at the HOTEL NHOW located at Zona Tortona in Milan Furniture Fair. HOAA International team successfully introduced the concept of founding, scale of development, operation direction and future prospects of the group through this exhibition, officially promoting "Milan HOAA International Art Design Group" to the public and initiating the investment attraction process. As the first Chinese-founded group in Italy with arts, design, education and exhibitions as the core, "HOAA International" gained close attention from media and industrial practitioners in Milan and its members were greatly encouraged. 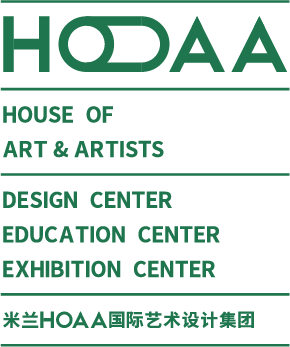 Adhering to the tenet of “promoting global art and design career development for public benefit”, during the exhibition, not only "HOAA International" conducted a variety of ground-based publicity activities, participated in linkage activities with external exhibition units, Milan HOAA International Education Center also successfully organized the first Italian study tour for 10 outstanding Chinese designers. In addition to visiting the Milan International Furniture Fair, they also traveled in cities such as Milan and Verona of Italy and Lausanne of Switzerland and gained new inspiration from the genuine art and design atmosphere in Europe and the newest and most cutting-edge design in the world. After that, HOAA International hosted a special reception at HOTEL NHOW on the evening of April 7, which attracted Italian industrial practitioners in architecture, art and design, embassy, think tank, Chinese media, friends from home and abroad. During the reception, Yugong made friendly exchanges with elites from all walks of life and introduced to the participants details of founding “HOAA International” and other aspects. The reception also promoted the exchanges among industry insiders and outsiders, Chinese people and local people. The reception came to a successful conclusion, which meant a solid step of steady development of “HOAA International” in Milan and even around Italy.